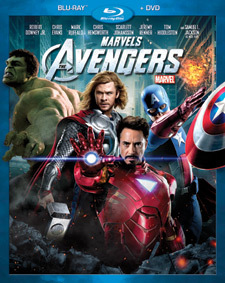 The third highest-grossing movie of all time, The Avengers crossed the $600 million domestic box office threshold on June 26, 2012 – only the third film in history to do so. As of this writing, it has earned an estimated worldwide gross of $1.44 billion. Written and directed by Joss Whedon, the film features an ensemble cast that includes Robert Downey, Jr. (Sherlock Holmes), Chris Evans (What’s Your Number? ), Mark Ruffalo (The Kids Are All Right), Chris Hemsworth (Thor), Scarlet Johansson (We Bought a Zoo), Jeremy Renner (Mission: Impossible – Ghost Protocol), Tom Hiddleston (Midnight in Paris), Clark Gregg (Iron Man 2) and Samuel L. Jackson (Arena). 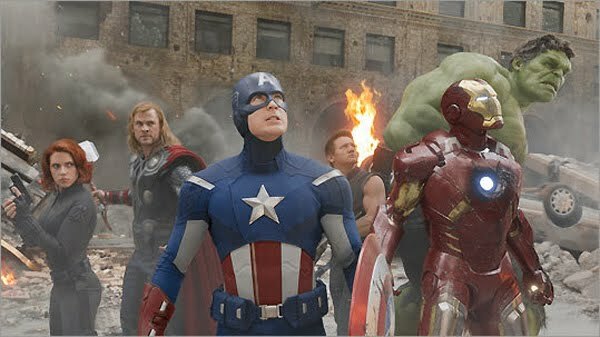 The Avengers finds Nick Fury (Jackson), director of the peacekeeping organization S.H.I.E.L.D, recruiting Iron Man (Downey), Captain America (Evans), Thor (Hemsworth), Black Widow (Johansson) and Hawkeye (Renner) to form a team to prvent Thor’s half-brother Loki (Hiddleston) from taking over the Earth. The team’s preventive measures culminate in a way-destructive battle in midtown Manhattan. In anticipation of the release, Marvel launched the app “The Avengers Initiative: A Marvel Second Screen App” (available for the first time on iPhone), which gives fans access to exclusive content. Pieces were issued bi-weekly in July and August 2012 and weekly in September leading up to the street date. Content includes access to the S.H.I.E.L.D. database, becoming a S.H.I.E.L.D. agent, invitations to “special missions” either remotely or in the field, links to character profiles, stories and scenes, interactive Marvel digital reader comic books and more.